This entry was posted on 14/03/2012 by sommecourt. It was filed under Battlefields, BEF, France, Great War, Somme, War Horse, Western Front, WW1 and was tagged with Chinese Labour Corps, Great War, Horses, Somme, War Horse, War Horse Film, WW1. This is an aspect of the war which I have found isn’t very well covered, most books finish at 11am on 11/11/18. I remember reading a book while visiting the somme in 1999 which mentioned how the work by the CLC was done, especially around finding makeshift graves and concentrating them into the CGWC cemeteries (which i have since forgotten the title of), I had an interest in how much effort was put in after hostilities had ceased, sceptical about the amount of effort the government went to inorder to find and give the dead a known resting place. Can anyone point me in the direction of more information on this topic? Or even suggest any books which give it more than a passing remark? The Chinese Laborer Corps also played an important role with the Forestry Regiments, British, French and American. 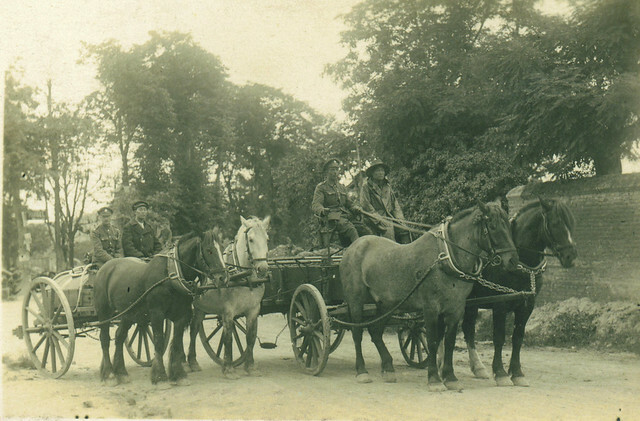 They were responsible for loading wood that the regiment loggers harvested for war production from the French forests. Interestingly, the CLC also played an important role later in the communist regime. Up until the laborer force went to Europe, common laborers were looked down upon. They returned from the war as national heroes. Suddenly, being a common laborer was seen in a much more positive light-paving the way for the communist party to take hold. The “workers” uniform of the communist party was modeled after those worn by the Chinese Laborer Corps. There is an excellent book that is in Chinese with English translation about the Chinese Laborer Corps. It was produced in conjunction with an exhibition about them that debuted in China. The book looks at the political climate, the contribution made by the CLC to the shaping of Chinese politics and sheds light on how the western treatment of China after the war led to the rise of the communist party. The book is: Over There; The Pictorial Chronicle of Chinese Laborer Corps in the Great War. It is published by; Shangdon Pictorial Publishing House. First Published in 1982 believe it or not!! ____ _____ ______ _____ ______in the first world war. But, it was only a lukewarm attempt at the vast subject matter; and only a paperback.